If you have been injured in a dog bite attack you may be entitled to recover compensation from the dog's owner or insurance company. 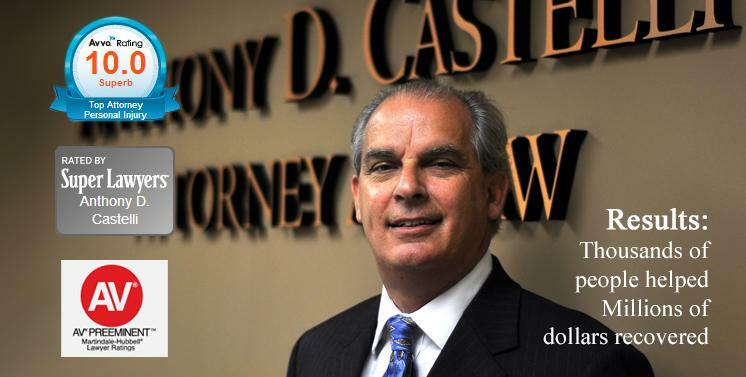 Contact Cincinnati dog bite attorney Anthony Castelli to protect your right to compensation. Maintaining a dog is an obligation that must be taken with reasonable care. If an Ohio dog owner,harborer or keeper fails to do so, the dog bite lawyer at the Cincinnati Law Office of Anthony D. Castelli can help you hold them accountable for the hurt and neglect they have caused your family. Dog bites can be highly traumatic, resulting in much more than physical pain. Often, a dog bite attack victim also suffers severe disfigurement and psychological damage that may include a long-term fear of dogs. Unfortunately, these often-preventable attacks occur at an alarming rate. The Centers for Disease Control and Prevention (CDC) estimates that roughly 4.5 million people are attacked by dogs each year, and 20% of dog bite victims need medical assistance for their injuries. Every dog bite, no matter how small, needs to be taken seriously. Dog saliva contains the bacteria capnocytophaga canimorsus, which can cause a wound to become seriously infected and lead to sepsis. In severe cases, going into septic shock may result in amputation of a limb. This makes it crucial that you clean and disinfect the wound immediately. As a precaution, it's often a good idea to take antibiotics in order to prevent a serious infection from developing. This is particularly true if you suffer from a condition impacting your immune system. You'll need to take several important actions immediately after a dog bite attack to safeguard your health and protect your rights. 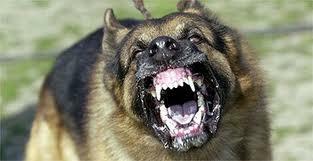 As discussed above, you may be at risk of developing a serious infection after being attacked by a dog. Therefore, you should have your injuries treated by a doctor at once. If you've suffered serious facial lacerations, you may want to have a plastic surgeon administer your stitches to reduce the risk of scarring and facial disfigurement. Whenever possible, try and identify the dog's owner while you are still at the scene. This is very important since you'll need to know whether the dog has received all of its shots and vaccinations. In particular, you'll want to know whether the dog is current on its rabies vaccinations. It is often not necessary to prove negligence when a dog bites someone that was not tormenting the dog and was not trespassing. This is because of a special Ohio statute that regulates the liability (legal responsibility) of a dog's owner, harborer, or keeper. All that is necessary in many cases is that the dog caused harm. This is called strict liability and comes about because of the statutory scheme set by the Ohio legislature. However, even though this may sound simple, there are complex issues regarding who can recover under the statute, and whether homeowner's or renter's insurance will cover the loss. In Ohio, it's also not always necessary for the animal to actually bite or attack you in order to hold the owner liable for an injury. For example, if a pedestrian becomes frightened of a barking or snapping dog and trips, falls, and breaks an ankle in an attempt to get away, the pedestrian may be entitled to recover compensation by proving the dog's actions caused the injury. 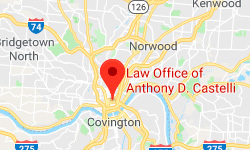 If you've been injured in a dog bite attack, please contact the Law Office of Anthony D. Castelli at (513) 621-2345 today to schedule a free consultation. Mr. Castelli serves clients in Cincinnati and throughout Ohio.